2017-18 Girls Lacrosse Call Out Meeting August 24, 2017 3:15-4:15 pm in LGI Athletes, please be sure to have a current physical & complete the Registration for Sports on the website. Monday, May 1, 2017 6:30 PM Noblesville High School AWAY 11 Fishers High School HOME 2 Game Recap The Lady Tigers JV hosted their final home game on Monday night and battled the Noblesville Millers. Our girls gave the Millers a good fight but came up short. Proud of you. 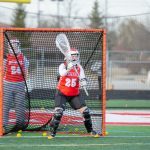 Thursday, April 27, 2017 7:30 PM Fishers High School AWAY 4 Carmel High School HOME 18 Game Recap The Lady Tigers traveled to Carmel on Thursday evening to take on the Greyhounds. Although the Greyhounds won the game, the Lady Tigers showed that they will never give up and always give their all. Wednesday, April 26, 2017 8:00 PM Westfield High School AWAY 0 Fishers High School HOME 0 Game Recap The Varsity game between the Westfield Shamrocks and our Lady Tigers was postponed to a potential later date due to storms in the area last Wednesday night. Look for updated for this make up game. Go Tigers! Saturday, April 29, 2017 3:00 PM Fishers High School AWAY 2 Evansville Central High School HOME 9 Game Recap Another great effort by our JV Lady Tigers. They keep their heads up and never give up. 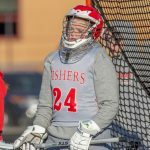 Saturday, April 29, 2017 1:30 PM Fishers High School AWAY 1 Castle High School HOME 11 Game Recap Great effort by our JV Lady Tigers. Every game they are showing their development and we are very proud of the way they play the game.